Yesterday I got my first sting of the season. That would not be remarkable except for one detail: the culprit was a mason bee. A mason bee! I have never before been stung by such a creature. I’ve been keeping mason bees for about seven years, and during early spring the area around my patio is black with them. With all the carrying on they do, you wouldn’t even notice I have honey bees. Honey bees are always on a distant mission and they fly up and out. I only ever see them at the hive entrance. Mason bees, on the other hand, have an abbreviated foraging distance and do most of their work within several yards of their birthplace. Not only are there lots of them in a small area, but they are quite chummy. By that, I mean they have no issues about being close to humans, very close, and they will often investigate your nose and ears as potential nesting sites. Talk about irritating. Several species of mason bee live in my area and appear at different times of the year. The ones active now are the so-called orchard masons, Osmia lignaria. They appear about the same time as the orchard tree blossoms in the northern states and are quite content to pollinate them. But they are generalists and can also be seen on all types of flowers, including dandelions and flowering shrubs. 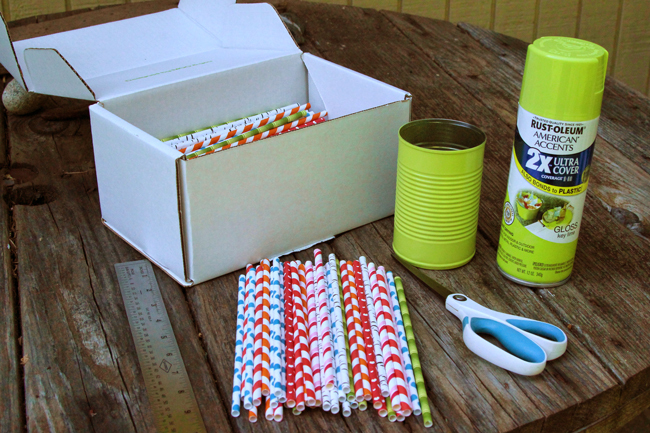 Yesterday I was on the patio cutting more paper straws to fill more cans. It seems I’ve been doing this every few days because as fast as I put up new ones, they get filled. I was measuring straws and cutting when I felt something on my wrist. I looked down to see a mason caught between my wristwatch and my sleeve. I pulled back my sleeve and she flew away. For a while I wondered if she stung me. What I felt wasn’t really a sting but more like a little pinch. I couldn’t see anything, so I shrugged it off, thinking maybe I felt her feet while she was struggling to free herself. But about five minutes later I noticed a typical sting mark: a raised white welt about a quarter-inch in diameter surrounded by a red patch about two inches across. So she had stung me! But seriously, it was something that would never pass for a sting in a honey bee’s bag of tricks. I’ve been stung by alkali bees and alfalfa leafcutters, and they are less than 10% of a honey bee’s sting. But this sting was less than 10% of leafcutter sting. If I hadn’t actually seen the mark, I wouldn’t have believed it. Over the years I’ve changed my nesting box set up. Now I use paper straws cut to fit the length of a metal can. I spray-paint the cans, although it’s not necessary, and simply fill them with straws of various diameters. When I started doing this seven years ago, about ten bees nested in my straws. Now it’s ridiculous how many live here, many hundreds. In the autumn I put the cans of straws in my garden shed to keep them out of the rain. And then, in the spring, I put the straws in a hatching box. A hatching box is just a box with a tiny hole at the bottom. If you put the hatching box near a new set of straws, the bees will leave the hatching box and use the straws for their nests. By using new straws every year, you can reduce the number of parasites the bees have to contend with. Even though I keep installing more straws, I have mason bees living in the drain holes of all our windows, nesting in the edges of the sliding patio door, tucked under the eaves and behind the fascia, squeezed in the siding, and folded into the outdoor chairs. The orchard masons are just beginning to wind down for the year, but soon the green berry bees, Osmia aglaia, will start making their appearance. For now, they are still in the hatching boxes and waiting for warmer weather. Preparing pollinator housing with empty cans and paper straws. © Rusty Burlew. The straws get filled in just a few days. © Rusty Burlew. Hatching boxes. Just lay the straws inside. © Rusty Burlew. I love the idea of using paper straws! Your site has so much valuable information on it, I just want to say thank you for all that you do to help the bees and fellow beekeepers you truly are a godsend. I purchased my first 4 resin cans with nesting tubes and have set them out! Last year I had Mason bees nesting in my greenhouse in the tunnels under the flats of plants but, unfortunately, didn’t know they were there until I moved the flats and broke the lovely little tunnels to pieces. I am trying to do better this year. From your photo it looks like some of the paper straws are inside the heavier cardboard tubes. Is that correct? I have the cardboard tubes in the deep cans (it was a kit) but the replacement tubes are a bit pricey, even in bulk. Am I correct in thinking I can reuse the heavy cardboard tubes by putting in fresh paper straws as liners or can I use the paper straws by themselves also? I may have to do some looking for paper straws since most of what I have seen are plastic. Can you give up your source for paper straws? You KNOW I adore your site! It took awhile, but I finally wrote everything I know about paper straws. This is great! I was thinking of trying this this year. Thanks, Rusty! I cannot find paper straws anywhere. Only plastic and vinyl. Your source? Many thanks!! Here’s the scoop: Paper straws for native bees. Welcome to an elite club. Took me over 15 years to get my first sting. It is more of an “oh” than an “ow”. Where do you get PAPER straws? I hope folk realize that plastic straws should not be used. The scenario you describe is what led me to become a cold-hearted person who no longer cares if my mason bees run out of housing — they could easily increase five-fold every year if I’d cooperate. At some point — why should I? I’ve also became a cheapskate and started making my own straws as well as using “natural” materials such as teasel, rather than buying. 1. The different size tubes are used by the same type of bee? I would think the same species would use the same size tube. 2. 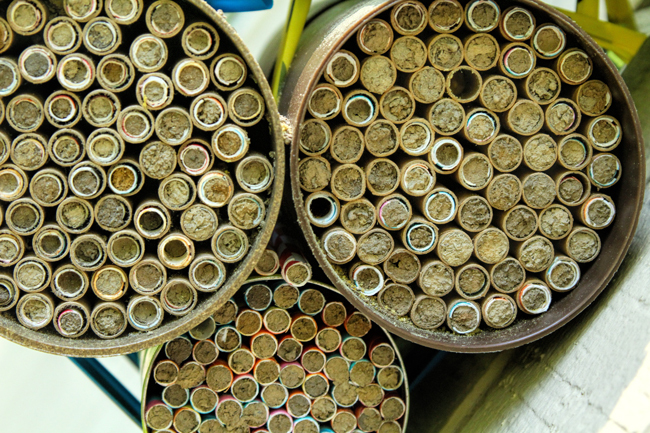 How can you tell which bee is using the tubes? 3. Are the hatching boxes set outside? 4. I have a bee who has started depositing pollen into the folds of my son’s deflated snow tube. This happened previously with a tarp that was left out for some time. It appears to be chunkier, darker version of a honey bee, it’s also fuzzy and the same size as my honey bees. I cannot ID it and have had a devil of a time getting a picture. I’m guessing it’s a digger or some kind of mason bee. I could swear I’ve seen full pollen baskets but when I perused the images online, it was very likely pollen on the underbelly that extended up the sides. I hate to move her nest, but can I just change the orientation of it? It’s currently perpendicular with our patio slider and about 3″ away and I would like to turn it so that we aren’t in each other’s path. 1. The different size tubes may be used by the same species or different species. As I explained in my Straws page, since holes in nature don’t come in standard sizes, the bees are adaptable to a range of sizes. 2. You have to look at the bee to identify it. 3. The hatching boxes are outside and placed as close to the nesting tubes as possible. 4. Bees carry pollen on their legs, on their abdomens, on the back edge of the thorax, or in pollen baskets, depending on the species. Only honey bees and bumble bees have pollen baskets but many, many species have hairy patches on their legs called tibial scopae that from a distance may look like pollen baskets. She may be able to find it, if you rotate it. Or you can wait till she’s done with it (probably any day now) and move it with no harm. Can you recommend where to get the straws and also what sizes they like? Here is your answer: everything I know about paper straws. Yes! Several folks have sent me this link. Is that awesome or what? Wow! I really admire the valuable idea of using straws. Very helpful idea for mason bees. We are passionate about your success. I’ve been reading up on mason bees. We’ve been on our current house almost 4 years now & have had many bees in the past but not so much this last year. I missed them. I have a couple of “dumb” questions. Please bear with me as I’m just starting my research into these little guys. 1) It’s my understanding that these bees are not honey bees so what do the straws fill up with? 2) Do you open both ends on the can or just 1? 3) Do they sort of self regulate their numbers based on how much there is to pollinate or do they just keep increasing in numbers? Or does the # of straw houses regulate their numbers? My reason for asking is the comment you made about them finding spots in your window drain holes etc. Not sure I want to be overrun like that. As they say, the only dumb question is the one you don’t ask! 1. 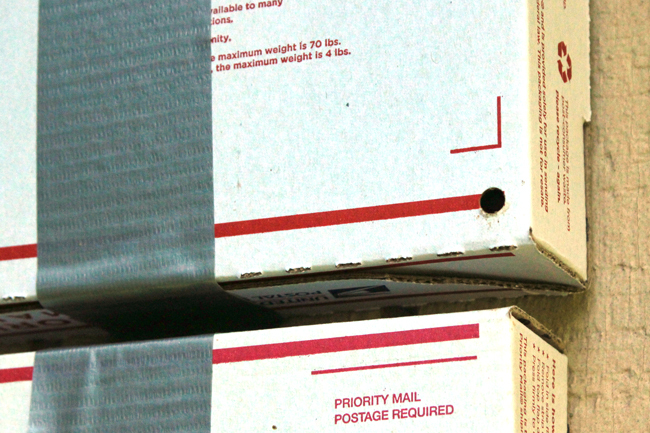 The tubes contain the nests. The female bee collects a ball of pollen mixed with nectar. It’s a small sticky marble about the size of a petite pea. On top of the pollen she lays an egg. Then she builds a partition out of mud to seal off the compartment. Then she starts another pollen ball. She continues until the entire straw is filled and then starts another tube. The new bees don’t emerge until the following spring, one year later. 2. I open just one end of the can. 3. They self regulate. It was my own fault for having more bees than tubes for them. Unlike most gardeners, I do many experiments with bees and tend to get carried away sometimes. I wouldn’t worry about that aspect of it. A friend gave us about 7 filled straws, we set them out about a month ago. Until then they had been in a box in our unheated shop. No sign of them emerging at all, but then again our fruit trees are just now starting to bloom. Is there still hope for the bees to emerge, do you think? We live in Puyallup. Thanks!! Mine haven’t emerged either. It’s just been too cold and wet. New package of honey bees coming today, so that will fill my time while I wait for the masons. I live in an apartment but I’m thinking about next season setting up a couple paper straws in home of attracting masonry bees, do you think this would work? I have a small garden on my back porch with peppers and tomatoes that I’d like to attract more pollinators because as of right now I’m having to manually pollinate most of my flowers. Providing housing for mason bees will usually attract them. It may start slowly the first year, but the populations build up over time. However, mason bees will not pollinate either peppers or tomatoes. Those need buzz pollination, such as performed by bumble bees and a few other types of native bees. I bought a mason bee house from Costco in the spring, and I noticed yesterday that about 25% of the tubes have been filled by the mason bees. How cool is that! I noticed about half a dozen wasps or yellow jackets are living in the other tubes. Do you think this is a problem? Do they prey on mason bees or otherwise provide a disincentive to mason bees nesting? Finally, I have this on my deck. My orchard is roughly 200-400 feet away. Should I move the bee house out to the orchard? What is the typical range of mason bees? When I see solitary wasps building in some of the tubes, I just let them alone. The wasps that do harm to mason bees are mostly very small and look a lot like fruit flies. The ones that are large enough to use the tubes are pretty much harmless to the mason bees. You could move it a little closer to the orchard. I’ve read they forage about 300 feet, but it varies with species. We have a nest of wild honey bees in a tree near our house. I have a humming bird feeder out and noticed it was mobbed with honey bees. I went on line to find a receipe for feeding honey bees (2 to 1, sugar and water). I poured some in a shallow dish and wow! There must have been 30 plus bees enjoying a banquet. Is helping or hurting these wild critters? Also do they need a winter feeding? What do I use? You aren’t doing any harm by feeding them sugar water. Honey bees are hoarders, so if they find it, they will take it. Whether or not they actually need it is a different question. From a colony perspective, even if they already have 300 lbs stored, they have no reason not to store the next pound. But it’s fun to watch. They won’t collect syrup if the syrup drops down below 50 degrees F.
Thank you for the information! So nice to see simple solutions. I was curious about recommendations for placing the cans & straws. I’ve read they could be hung in a tree, placed on the ground, etc. Any favorite spots? Same with the hatching boxes – looks like those have to be wall mounted as well, yes? I think the best orientation is generally south or southeast-facing, about 2-5 feet high, sunny and dry. Personally, I don’t like them to move or dangle, although some folks seem to do fine with it. Thank you for this wonderful website! My daughter was outside painting a bookshelf, and a mason bee investigated too closely, falling onto the wet paint. We brought her inside and tried to rinse her wings under a gently running tap before the paint dried, but it didn’t work. She is otherwise fine, except for paint on her wings that prevents her from flying. She is currently in mesh habitat like the one used for monarchs with an orange slice and some nectar flowers, which we can resaturate with sugar water. What do you recommend for a bee like this? Is it best to release her, or would we be sentencing her to starvation and predation? There is not much you can do. An adult mason bee normally lives about 4 to 6 weeks, but yours won’t last nearly as long either inside or out. I think she may suffer more from being locked up than she would if she were suddenly eaten by a bird. I would let her go.